If you have a bug specimen in Utah that you'd like identified, please visit our Bugs of Utah page or follow and contact the Salt Lake Bug Lovers Facebook page. For any out-of-state insect identification, please contact the Insect Identification Facebook group. However, if your question is of a medical nature, please contact the local health department or your physician. 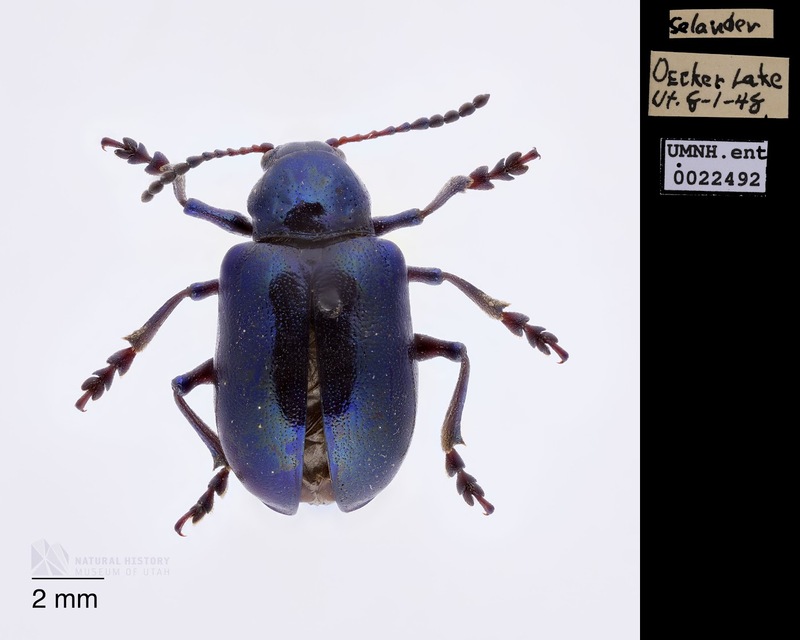 *Many of our specimens' data can be found on the SCAN database, a very powerful arthropod research tool. No registration is required. Specimens from six continents are represented in the collection. More than 120 years of collecting are represented here. The collection's concentration on the Wasatch Front makes it unique - and uniquely important. Some of the specimens are pinned, some smaller or soft-bodied specimens are stored in alcohol and still others are stored "papered," or folded in paper triangles to conserve space. New metal cabinets at The Rio Tinto Center create a more controlled, stable "micro habitat" that is safer for the specimens and also protects against pest infestations. Delicate insect specimens expand and contract slightly with temperature and humidity changes causing them to become even more fragile. Thanks to a generous donor, we've acquired an imaging system which will allow us to enhance our database in exciting new ways. We are looking forward to sharing the insect collection with researchers, educators and laypeople throughout Utah and the world. 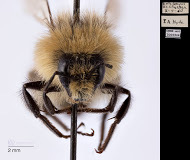 If you are interested in seeing a specific group or specimen imaged, please contact us. Firefly Citizen Science Project - Click for more info! 2016 marks our third year of exploring the range of firefly populations throughout the state with our partners at BYU. This year we intend to roll out new features including mobilizing a volunteer crew of specimen collectors and more student researches. Stay tuned for more information!